Well the warmer weather has finally arrived after a longer than usual winter. We have now all our new chairs. This makes for a total of 100 new chairs. Eventually, we may need a few more but we will wait and see for the time being.There are a lot of new retirees as of May 1, 2018. I would like to thank John Neely and Bruce Allen for filling in for me, as I was absent dealing with a bad cold, at the send-off meeting for the workers who have just retired. They spoke to a lot of new retirees on my behalf. There are still a very large number of retiring workers who are taking commuted value of their pensions. Over a long period of time this is going to really hurt our chapter and the Retirees Centre. It means that every month there is going to be less dues paid by retirees because a lot of potential retiree dues are not coming off of a monthly pension deposited into a bank or credit union account. Every Unifor local union which falls under a General Motors contract is experiencing this problem. The auto contracts at the other companies do not have a commuted value option which should be better known as the take the money and run option. This problem which is unique to General Motors should have been fixed in the 2016 contact negotiations. But GM wanted it to continue because it really works for them by slashing their legacy costs and workers who are thinking only in the short term unfortunately like it. Our pensions were first negotiated in 1950. They were negotiated so that all General Motors workers would be an ongoing part of our pension plan. Before changing this, I as a retired worker and all other retired General Motors workers, should have had a vote because it involves taking money out of our defined pension plan. When newly retiring workers take the commuted value of their pensions, they are really lowering the actual value of our pension plan while benefiting the boss. The money which is being taken out will not stay in the pension fund where it can make more money to further fund our pension plan. 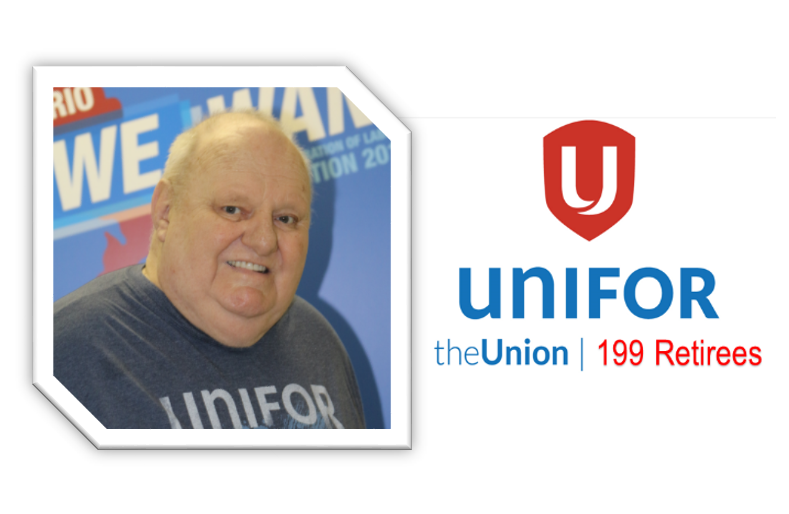 Elsewhere, I want to report that the Unifor Local 199 Retired Workers Chapter page on Facebook is doing really good. A lot of our retirees and many, many other people are checking it out. We as an Executive Board are really happy with the number of people who are visiting our Facebook Page. It has raised our profile a lot and we hope interest in it continues to grow into the future.